We are moving towards incarnation four of Tell It Slant – a chosen one this time, as we are welcoming a new Manager, poet and publisher Kathrine Sowerby (above), to the helm. 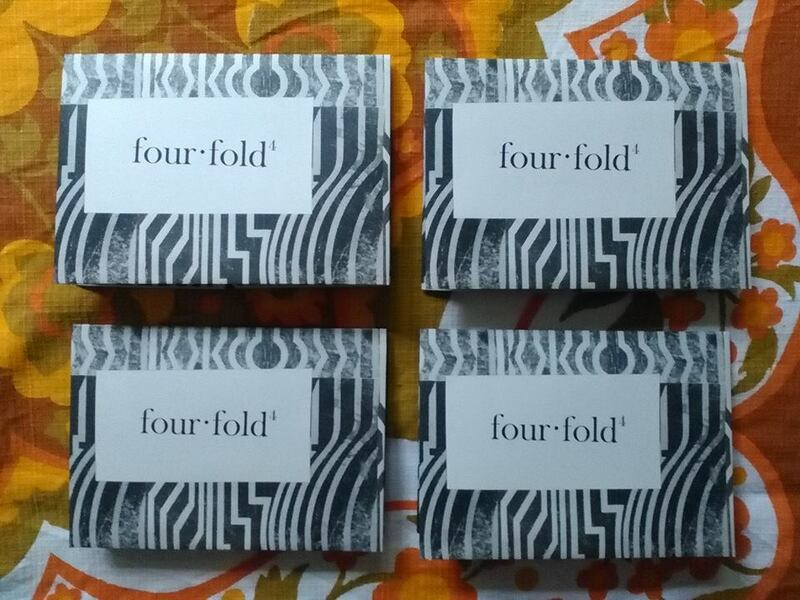 So it seems suitable to relaunch the bookshop under its new captain alongside the launch of issue four of her uniquely visual poetry publication, fourfold (above left) – on the 24th of October! 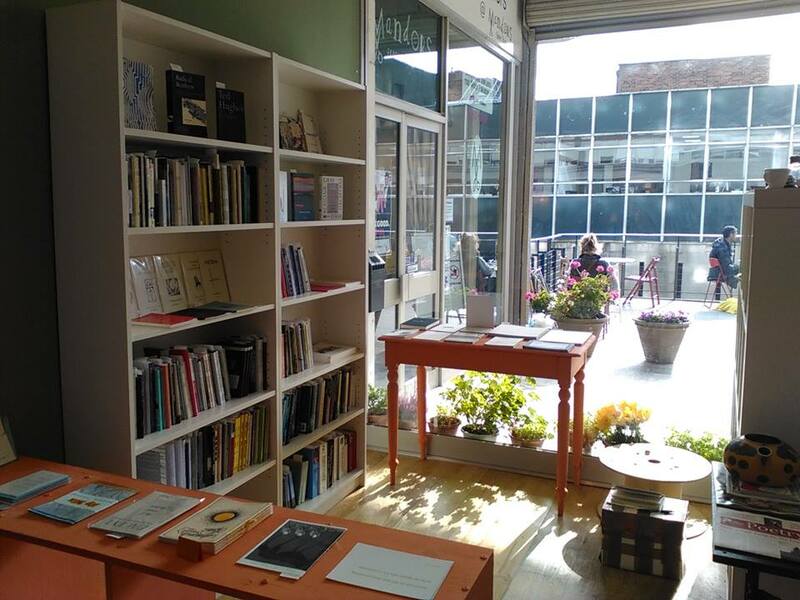 Kathrine, also a graduate of The Glasgow School of Art‘s prestigious MFA programme, has been busy with paintbrush and shelving making it a more colourful and elegant space for the proper display of the poetry gems in our collection. Evolution four will be fascinating to watch as it unfolds. Kathrine, who is responsible for thinking up the name Tell It Slant, is also a graduate of Edinburgh College of Art and taught English in Slovakia and Lithuania before returning to Scotland. She has exhibited her writing in artists’ books, in videos and installations and in 2000 her 15 page poem Unnecessarily Emphatic was transcribed for theatre and performed at Columbia University, New York. She graduated from Glasgow University’s MLitt in Creative Writing with distinction and was named joint winner of the Curtis Brown Prize 2011 for an extract of her novel The Spit, the Sound and the Nest. In 2010/11, she took part in St Mungo’s Mirrorball Clydebuilt Apprenticeship Scheme. In 2012, she was a runner up in the Edwin Morgan Poetry Competition and commended in the Wigtown Poetry Competition. Kathrine runs Hope Hill Press. She was awarded the Scottish Book Trust’s New Writer’s Award in 2012. Juana Adcock, Jim Carruth, Hazel Frew, Mark Russell and myself will be reading at the relaunch. It promises to be a wonderful evolution. Come and join us! The new look bookshop, within The Project Cafe, decorated and rebuilt by Kathrine.